SINGAPORE (Reuters) - Singapore's annual headline inflation rate is expected to have risen 0.5 percent in February, according to a Reuters poll, quickening slightly compared with the previous month. The annual all-items inflation rate was 0.4 percent in January. A deflation in transport costs may have eased in February as both oil prices and vehicle quota premiums were higher on a month-on-month basis, said Jonathan Koh, an economist with Standard Chartered. Food prices could also rise due to festive spending during the Lunar New Year. The poll of 11 economists also forecast the Monetary Authority of Singapore's (MAS) annual core inflation measure increased 1.7 percent in February, unchanged from the previous month. The central bank's core inflation measure excludes changes in the prices of cars and accommodation, which are more heavily influenced by government policies. 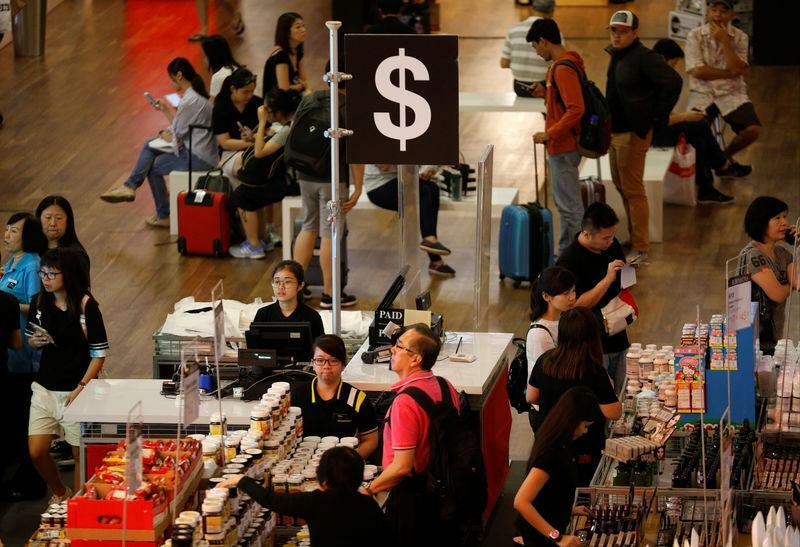 Last month, Singapore cut its 2019 headline inflation forecast to 0.5-1.5 percent from 1-2 percent, citing an expected decline in global oil prices this year. However, the core inflation forecast - a closely-watched indicator for monetary policy - was kept unchanged at 1.5-2.5 percent. Singapore's central bank is due to make the first of its semi-annual policy announcements next month.